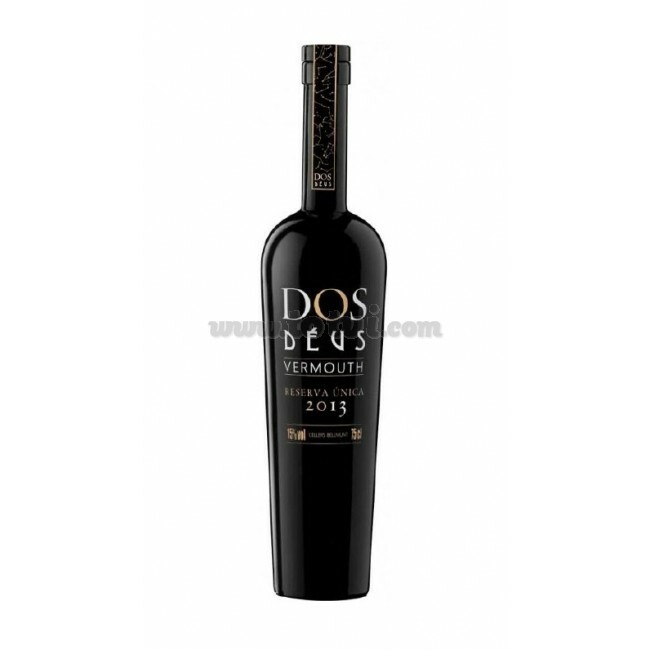 Dos Déus Reserva Única is a vermouth made in the area of Tarragona in small barrels, mostly 5 years old, and aged in American oak barrels in the area of Cádiz. It is a vermouth that stands out for its aromatic intensity and bitter notes. Gran Vinari d'Or Award for Best Vermouth 2017. Dos Déus Reserva Única is a vermouth made in the area of ​​Tarragona with small soles, mostly 5 years old, and aged in American oak boots in the area of ​​Cádiz. Dark caramel color. Clean and bright. In the nose we can perceive rich and powerful aromas of aromatic and balsamic herbs, while in the mouth we notice bitter notes. It is a potent vermouth in the mouth although it has a passage for fresh palate. It has a soft and integrated sweetness point and a bitter and elegant finish. Elaborated with wine of aging and aromatic herbs like the Dictam of Crete, the Artemisa Pontica, the Satureja Hortensis and the Gentian. For two months the alcohol is macerated with the mixture of the different herbs mentioned above. After this period the herbs are pressed to extract the extract where the aromas and flavor are concentrated and mixed with Tarragona white wine and with a mixture of sweet notes. Matured for 5 years following the system of soleras, in barrels of 500 liters of American oak from the aging of wines of the area of ​​Cadiz. Drink very cold, add ice and a piece of grapefruit.